Juran has developed a unique system for harvesting watermelon seeds. The system consists of a Rake which, as it moves through the field, harvests the watermelons, collecting and arranging them into neat compact rows along the length of the field. 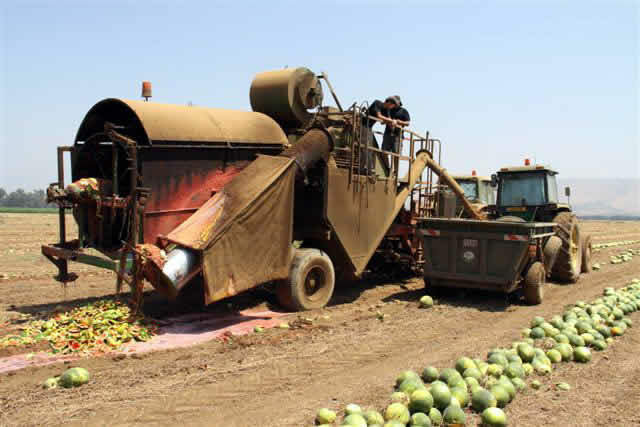 This enables the watermelon Pick-Up and Thresher to then easily pick up the melons and send them through the Thresher, which slices them and extracts the seeds. In operation for nearly a decade, 16 of these systems are in use in Israel. 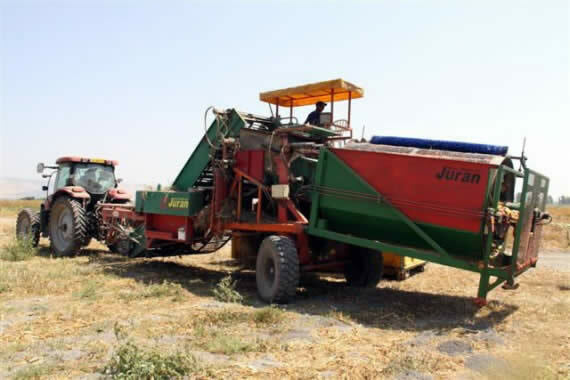 The Juran Watermelon Harvester & De-Seeder can be operated by 2 to 5 workers, replacing 50 to 70 workers previously required to perform the same job manually.